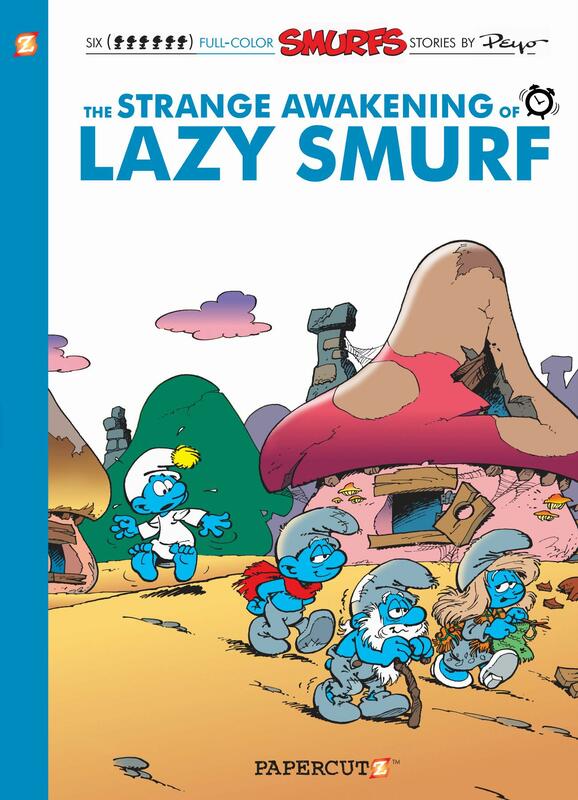 As was the case for The Aerosmurf, The Strange Awakening of Lazy Smurf is a collection of six short stories of which the title sequence is but one. For the title story Peyo dusts off a premise he’d used before in The Astromsurf and gives it a twist. The Smurfs decide to play a prank on their idle member by convincing him he’s slept for two hundred years. Because the other Smurfs are now all old, only he has the youthful energy to refurbish the decaying Smurf village. It’s a lot of fun, and not the only story for which Peyo figured he could repurpose ideas he’d previously used. 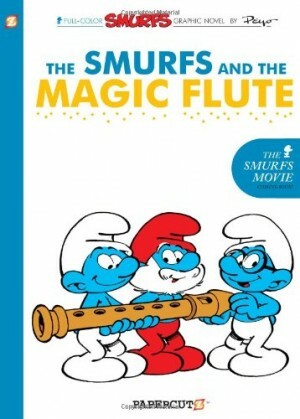 ‘Disco Smurf’ has the standby of music distracting Papa Smurf from some very tricky potions, ‘The Ogre and the Smurfs’ has similarities to ‘Smurf Soup’, and both ‘Gargamel’s Twin’ and ‘Gargamel and his Nephews’ make use of Gargamel lookalikes. Even the one story not by Peyo himself ‘Smurfing Smurf’ fits the bill. 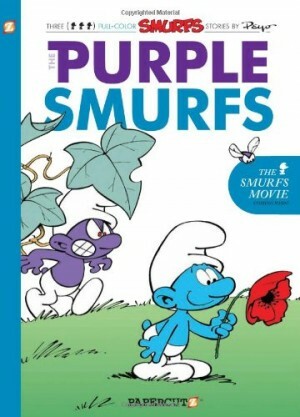 To call it a sequel is to be too generous, as Studio Peyo repeat practically the same plot as used for ‘Smurf Vacation’ in Smurf vs. Smurf. As previously it’s nicely drawn, but otherwise a pale shadow of Peyo’s own work. ‘Gargamel’s Nephews’ is the most interesting story for reasons that will fly above the heads of most children reading it. 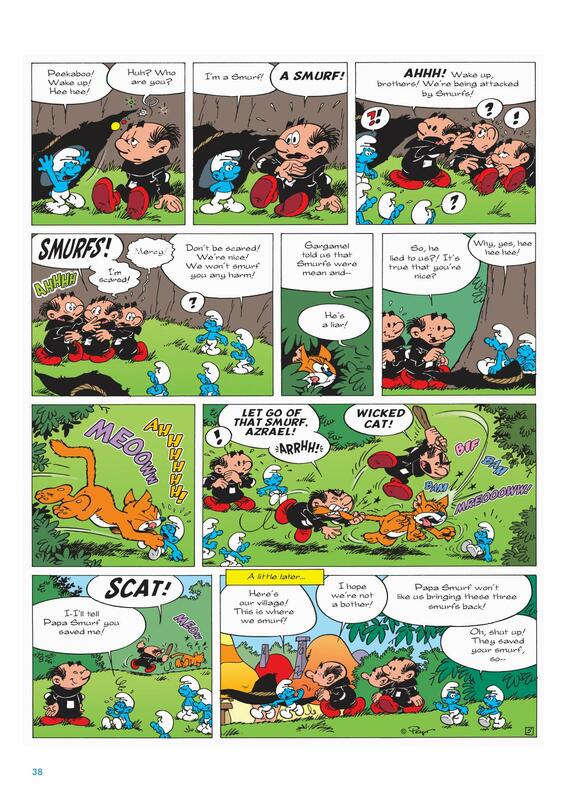 It’s Peyo’s little joke about Donald Duck’s relationship with Huey, Dewey and Louie, so each of the nephews is a miniature Gargamel, even down to the bald heads, but he doesn’t attempt a Donald Duck story, fitting the nephews into the Smurfs’ world rather neatly. It’s very funny to see them as only slightly larger than the Smurfs themselves, and Peyo constructs a good slapstick payoff for the story. Because Peyo is such a superb cartoonist and he’d produced so many Smurfs pages by 1991, it’s easy to undervalue his talent. The Smurfs themselves have an obvious charm, but that they’re embedded in such delightful backgrounds is key to the series. The thoroughly immersive world is something children can relate to and study for the thoughtful little details around the rustic homes constructed within colourful mushrooms. 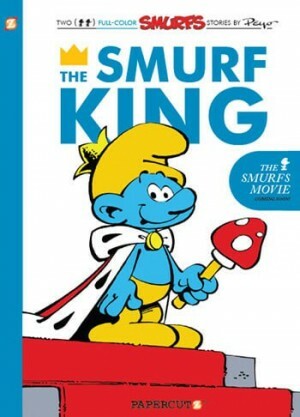 If being picky about the content, too much of it skates too near previous plots, but there’s no need to read the Smurf books in publication order, and anyone picking up this book first will discover a beautifully drawn selection of funny stories fully showcasing the Smurfs’ world. 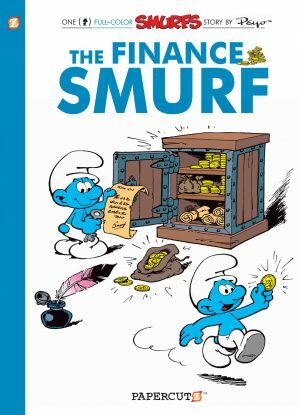 Peyo’s final Smurfs story follows, The Finance Smurf.